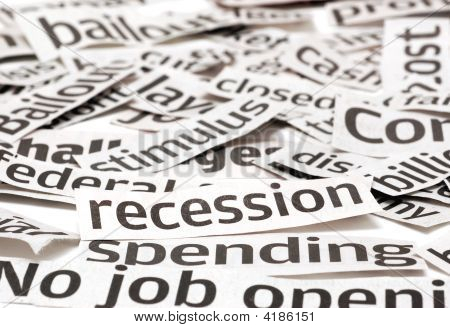 We heard this week that we are in the fifth year of recession and that is beginning to really bite for many of us. Against that backdrop, Oxfam released a report called ‘The Perfect Storm’ which shockingly demonstrates that there are now 3.6 million households in the “squeezed middle” on the cliff edge of very real poverty but they’re not in inner city Birmingham or in the high rise blocks of the Gorballs or Peckham. These are people who live in our streets, they are many of our next door neighbours, they might be in the pew next to you today. How did we, in Britain, end up here? If you combine rising unemployment with declining incomes, with increased living costs and cuts in public services and benefits reform we end up in a perfect storm of the very real risk increased poverty in a developed nation such as ours with people living metaphorically and literally on the bread line. In the current economic climate many of are forced to really focus on what matters - on what goes into our shopping trollies, in how we spend our spare time, on where (if at all) we holiday, where our charitable giving goes (it at all) and so on - what is essential in our lives, what sustains us day by day. The bottom line is, we all need to eat. WIthout food we die. We need food every day ideally to sustain us, to make us live. But if I eat today, chances are I’ll be hungry again tomorrow. Jesus describes himself as the bread of life. There is something wonderfully evocative about Jesus’ use of that expression. Bread is one of the staples. It’s cheap, filling, sustaining and generally readily available. Yet Jesus says that if you eat this bread, your hunger will be permanently satisfied. But this is not a quick fix for hungry recession gripped households. 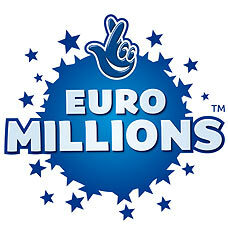 Last week a British ticket holder claimed a stake on the latest and largest Euro Millions Jackpot of £148 Million. A staggering amount of money, but stop yourself before you utter the words, ‘that would be the answer to all my problems.’ The internet is littered with stories of lottery millionaires who have won a bank breaking sum thinking that they have somehow made it and then they blow it - fritter it all away, houses repossessed and a rags to riches to rags stories to live out. In the news in recent times has been the story of Hans Kristien and Eva Rausing - he was born in to the Tetra-pak dynasty, his own father reputed to be worth an eye watering $10 Billion, and yet even in that context their lives are littered with lies and drug abuse. The hungry long to be fed and not be hungry again. The wealthy long for love, that money cannot buy. But beneath even those there is a deep, all too often unspoken longing in all of us - to be free from anxiety, to love and be loved by others, for a respect that crosses the boundaries of age, gender, class, religion, sexuality and race... And not just in the now, but to see our lives, our communities our culture our world transformed in the what is yet to come. Jesus is not espousing some Martin Luther King Jr utopian dream of liberty and justice for all. This is no political manifesto or UN food program. Linking the crowd’s knowledge of God giving the Israelites bread-like manna from heaven to feed them in one particular time of hunger and need, so Jesus identifies the ‘bread’ that God offers with himself. He comes down from God and offers the life of God, eternal life, to all people always, through ultimately giving up his own life on the cross and His resurrection. Whoever eats this bread, takes the life of God Himself into their own lives. This is what Jesus was driving at as He describes Himself as the Bread of Life. It’s not about us trying to live God’s way for we prove again and again that we just can’t. Only when God dwells in us, only when the life of God lies at the source of our drives, motives and decisions do we discover that our life is being transformed into a life lived for God according to His priorities, His hopes, His dreams and His eternal love. It’s not about us living His way but about us living life with His life within us. The Greek word that the New Testament uses to describe what’s on offer here is Zöe - with God life, a life with God, a life together, a life lived in a partnership of love. Unfortunately, this Zöe - this with God life, is not available if we try to live a certain way. It’s not about being good person. It’s not about being kind or gentle. It’s not about being self giving or charitable. This sort of life, that all of us long for deep down, is not something we can strive for and possess. We cannot earn it. We do not deserve it. It is a gift received through a personal relationship with the giver - with God in Christ. As we hear Jesus talk about the Bread of Life, our minds are transported to the Upper Room in Jerusalem where bread was broken and wine shared by Jesus and His disciples as a way to remember His presence with us and the eternal life on offer to us all afresh through his death and resurrection. In the Eucharist which we will share in in a few moments, as we share the Bread of Life and the Cup of Salvation, we take into ourselves God’s Zöe, God’s life and presence, His power to convert and transform our motives and drives, and to feed and to satisfy our innermost longings, hopes, desires and dreams. Because that’s what’s on offer in Jesus Christ the Bread of Life. The Word as a Wordle is back!